A new video created by Camp Pacific is grabbing attention online by showing skiing from a very different perspective. Camp Pacific captured the inspiring story of a blind man’s love for tackling BC’s snow-covered peaks in an incredibly powerful way. Born with a condition known as Leiber’s Amaurosis, Donovan Tildesley has never actually seen the breathtaking slopes he has skied since he was a child. As the video reveals, Donovan’s love of the sport goes beyond the skiing itself, and focuses on his visceral connection to the British Columbian landscape. Shot in Whistler, North America’s number 1 ski destination; the installment is part of Destination British Columbia’s (DBC) 2015/16 Ski/Winter campaign, titled Winter Within. Created by Camp Pacific, the campaign beautifully captures the innate urge that draws skiers back to BC’s mountains year after year and the adventurous spirit that’s awakened from within. This unique sensation is one that many people can relate to, and is reinforced when watching Donovan literally feel his way down the slopes. The video shares Donovan’s journey from childhood, crediting his parents for the positive outlook he has adopted, along with instilling in him the courage to know that he can do anything anyone else can. The powerful imagery is a strong reminder of his determination, showcasing the blind skier’s bravery as he tackles some of the most challenging terrain in Canada. 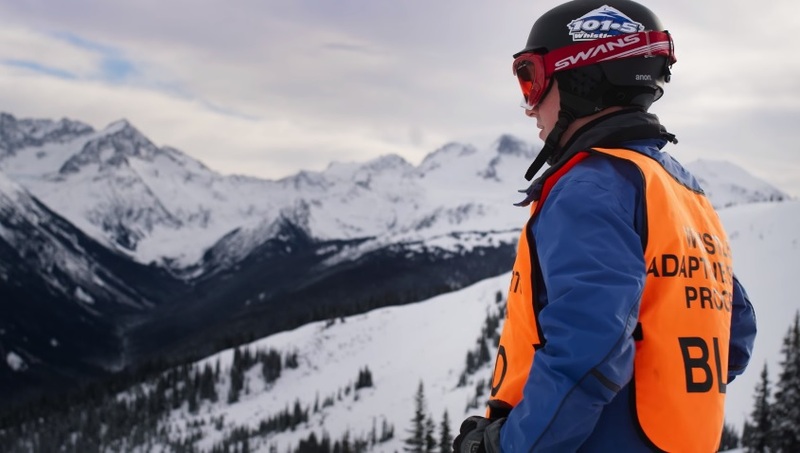 The unique story shows how the mountains in British Columbia have allowed Donovan to partake in activities just like his friends and family, helping to push his boundaries and shape his confidence.